Illegal mining activities in the Ashanti Region have reduced following the introduction of Operation Vanguard. This is according to the Ashanti Regional Minister, Hon. Simon Osei Mensah. The priest in-charge of Jukwa Krobo Grotto Catholic Archdiocese of Cape Coast in the Central Region, Rev. Fr. 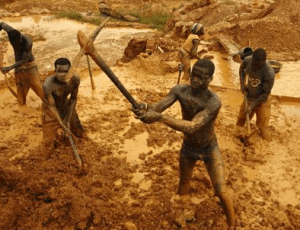 David Obeng Paintsil, has stressed the need for all Christians and Muslims of good will in the country to offer prayers on the first Sunday and first Friday of every month respectively to end illegal mining popularly known as galamsey. According to him, the government, the media and civil society cannot succeed in this campaign without prayers. He indicated that the situation at hand is so complex that human efforts are not enough to combat it. Rev Fr Paintsil made this observation at a press conference held in the area. He stressed the need for all to pray for divine intervention to touch the hearts of both the big and ordinary men behind the business that has dire consequences on the environment and life. “This would also give the government and the media the will power and the spirit of perseverance to end the canker as well as give spiritual protection to all who were involved in this campaign, especially the sector minister and the media,” he said. Rev Fr Paintsil entreated pastors and Imams to educate the youth on the hazards of the galamsey menace, and the effect of illegal mining activities in the country. He noted that the government would get a lasting and sustainable solution to this national problem if people make up their minds to help save the lands and water bodies for the sake of posterity. 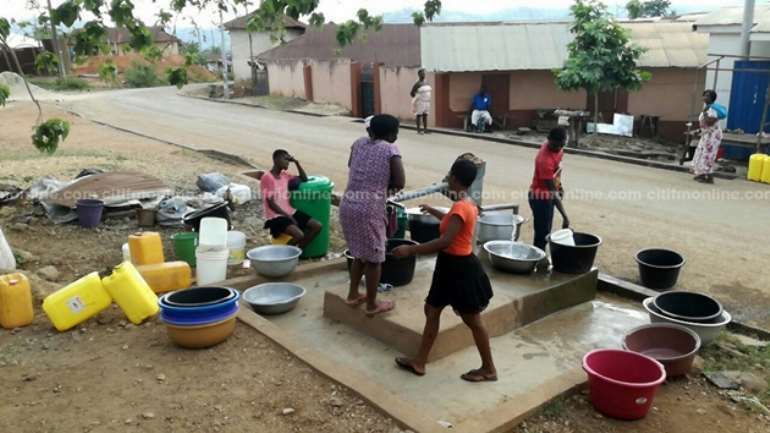 “This current state of the galamsey menace has depleted the hitherto rich farming lands and water bodies and one can no longer rely on the natural rivers for water consumption since they have been poisoned by dangerous chemicals from the activities of galamsey,” he lamented. The priest added that there had been several attempts by successive governments and civil society organizations to deal with the menace in various ways but all such attempts landed on rocks. Rev Fr Paintsil noted that the current campaign launched by the media and the government is in the right direction. From all indications illegal mining, also known as ‘galamsey,’ would end once-and-for-all in the Ashanti Region following the inauguration of a 15-member taskforce. The move is to support government’s fight against illegal mining to forestall the destruction of the environment. 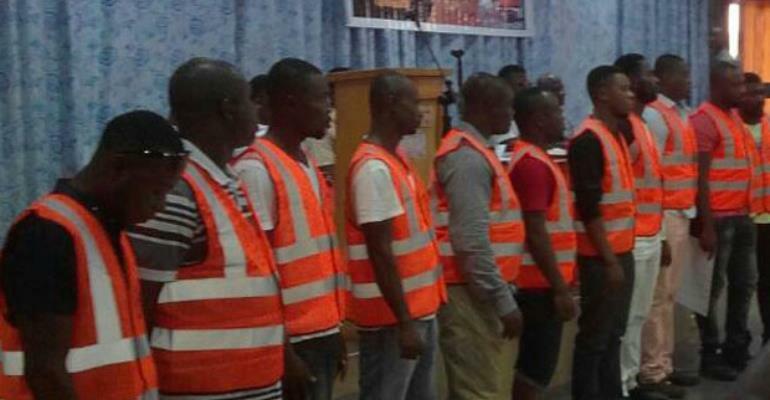 The Ashanti Regional Chapter of the Ghana National Association of Small Scale Miners formed the taskforce made up of energetic men. The taskforce has been charged to monitor the activities of illegal miners in the region. Under the project, each member of the association would reclaim at least two acres of land destroyed through ‘galamsey’ in their catchment area. Frank Osei, interim executive member of the association, stated that his outfit was determined to support government to effectively tackle illegal mining. He observed that illegal mining activities rapidly destroy the environment, urging all small-scale miners to join the fight against the menace. Mr. Osei expressed hope that within the next three months, the taskforce would help reclaim vast lands damaged by the illegal miners. He noted that the taskforce would officially work with the various assemblies in the region. Mr. Osei also commended President Akufo-Addo’s decision to stop illegal mining in the country and urged all and sundry to support him. 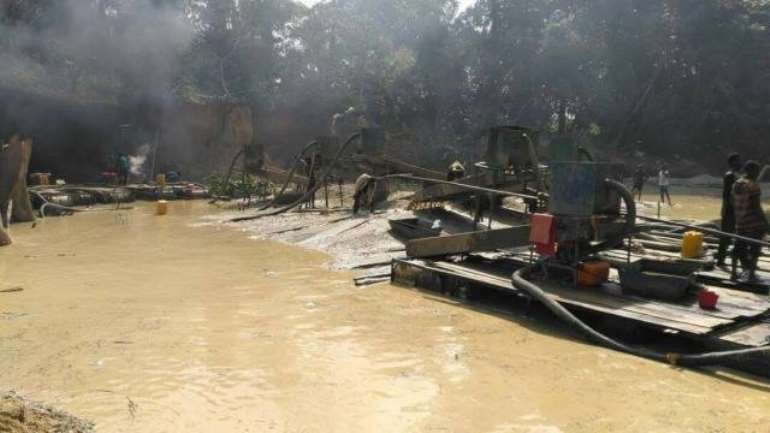 Lands and Natural Resources Minister, John Peter Amewu says the Chinese government is in full support of Ghana’s efforts to end illegal mining known as galamsey. 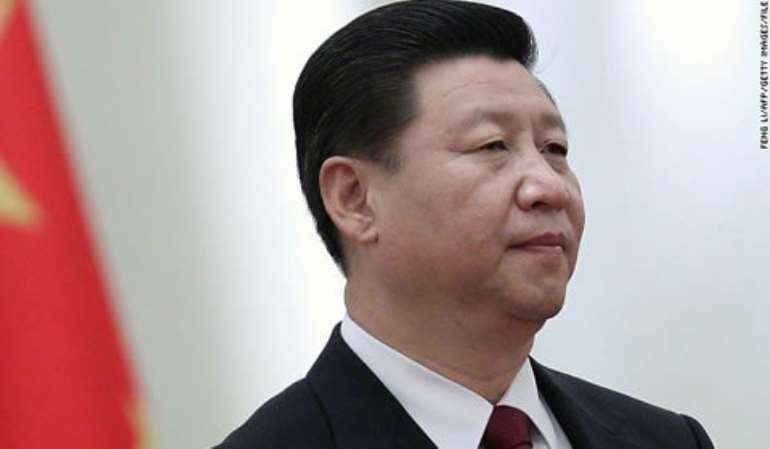 He said the Xi Jinping government has given its backing for punitive measures to be meted out to Chinese nationals who are caught engaging in illegal mining in Ghana. Speaking at Joy FM’s Thought Leadership dialogue on galamsey Friday, Mr Amewu said the President Akufo-Addo government will continue to collaborate with civil society groups to clamp down on the practice. The anti-galamsey campaign has been gathering momentum days after the Lands Ministry’s three-weeks ultimatum served miners to end their activities elapsed. As part of activities to consolidate gains made since the start of the campaign in February 2017, the Lands Minister has been leading a delegation of mine officials to tour some illegal mining sites. Available data at the Lands Ministry reveals a total of about 500 excavators used for illegal mining have been handed over to government by some of the operators. The campaign was triggered by the destruction caused Ghana’s water bodies and forest reserves through galamsey activities. 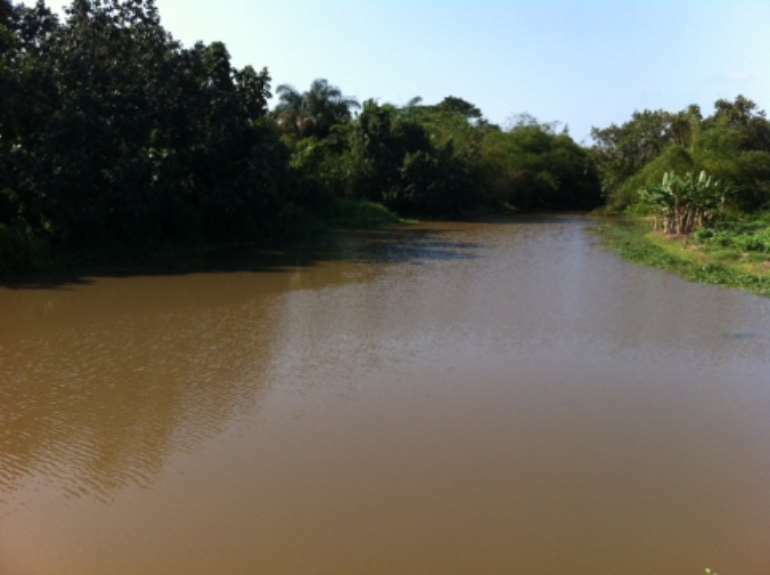 The Tano River in the Brong Ahafo Region, that serves several communities, has dried up for the first time in 40 years. 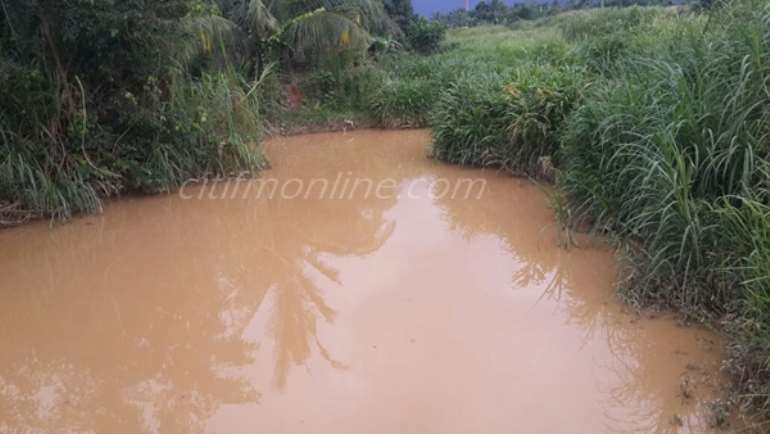 The Brim and Densu Rivers in the Eastern Region and Ankobrah River in the Western Region have been muddied to an extent that experts have estimated it will cost more money for them to be treated for consumption. 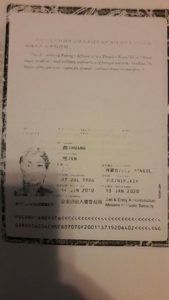 Information available indicates some of the people found to be engaging in the practice are Ghanaians and Chinese. 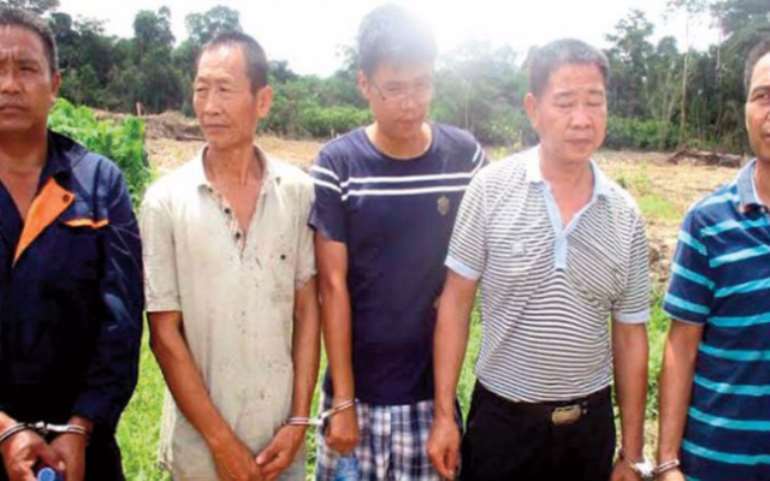 At least five Chinese and their Ghanaian counterparts are standing trial for mining in the Ankobrah River in the Western Region. The Chinese community in Ghana has expressed dissatisfaction with media reportage on galamsey, saying its people are being unfairly targeted. In a letter to the Lands Ministry, officials of the Chinese mission said the campaign against galamsey could hamper bilateral relationship between the two countries if attacks on its citizens are not stopped. In the heat of the campaign, reports were rife that the Chinese government has directed its Immigration Department to unfairly scrutinise travelling documents of Ghanaian businessmen and women at their airports because of the galamsey clamp down. But the Lands Minister said President Akufo-Addo has communicated with Chinese President, Xi Jinping over the anti-galamsey activities and he has given his support. 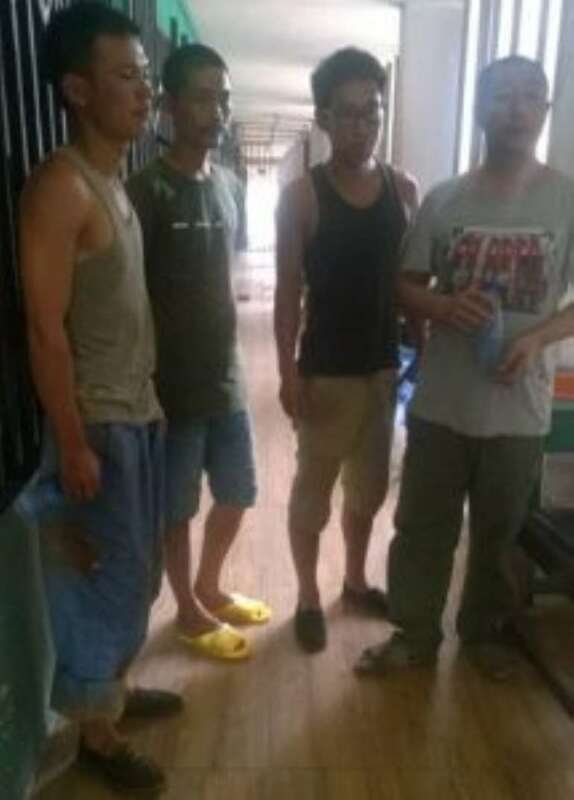 “The Chinese government totally agrees with the government that any foreigner that misbehaves, they have [to be dealt with],” Mr Amewu said. The Minister advised the media to exercise circumspection in their reportage since any Chinese accosted for engaging in illegal mining is an individual and not their government. “We should be careful,” he cautioned. “We will continue to chase recalcitrant people who will not conform to sustainable environmental mining,” he warned. llegal galamsey miners are set to return to site not to deplete and pollute the environment but to work towards reclaiming areas devastated by the illegal mining activity. 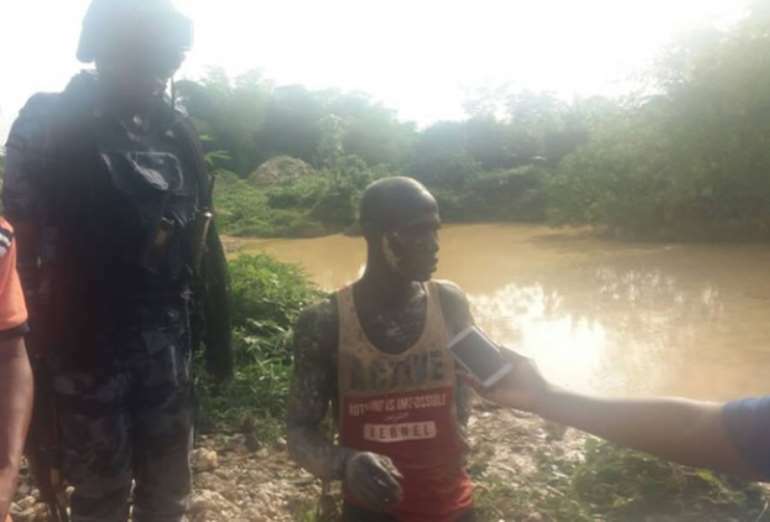 According to the Lands and Natural Resources Minister John Peter Amewu, his outfit will vigorously engage the illegal miners in a desperate bid to repair the lands destroyed by galamsey. 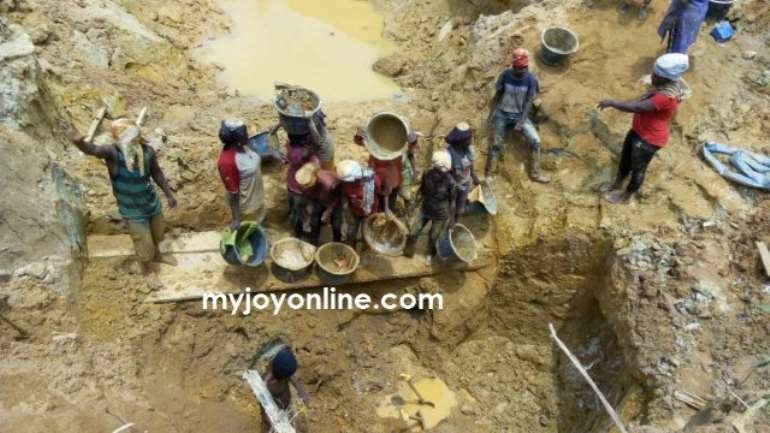 The illegal mining activities across the country have come to a halt at least for now following a massive joint anti-galamsey campaign by the government and the media. Shortly after being appointed into office, the Minister gave a three week ultimatum to all illegal miners to halt their activities or face the consequences. A good number of the miners are reported to have abandoned the sites and left behind huge excavators which have subsequently been taken over by the government. Speaking at the Joy FM’s Thought Leadership programme on galamsey, John Peter Amewu said the government is resolved to fighting the canker that has destroyed many of the country’s water bodies and threatening the very existence of citizens. It is believed Ghana may soon be importing water into the country if the galamsey menace is not resolved. Already the forest reserve and farm lands have been destroyed completely as a result of the illegal mining activity. The sector minister said his outfit will be fighting the canker on three main pillars including law enforcement and the use of technology. He said in using the drone as the key technological application, the ministry will identify all the concessions and their owners and will monitor ever single activity of those owners. 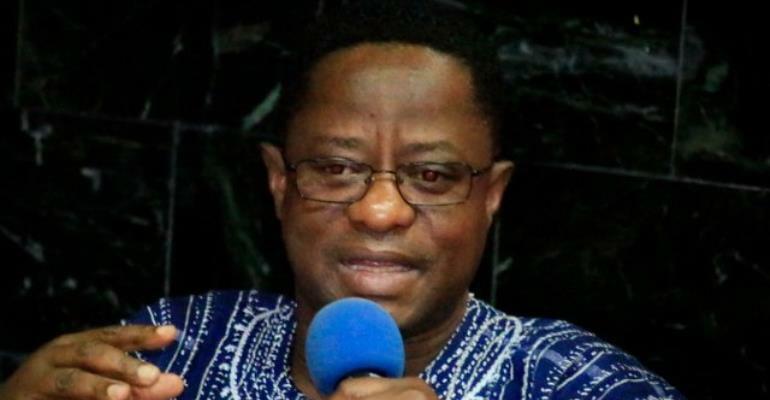 Mr Amewu said not only will the task force be used to prevent the miners from returning to the sites, but the miners will be engaged to help in reclaiming the lands they have polluted. The minister further stated, that government will no longer leave the prospecting of gold and other minerals in the hands of small scale miners but government will lead the way to ensure whatever mining activity is done is according to law. But members of the small scale miners are not happy with the actions of the sector minister. One of the representatives of the small scale mining association who was present at the Thought Leadership programme said they have not engaged at all by the minister. He does not see how the minister wants them to buy into reclamation effort when they have not been consulted. Reports from Segyimase near Kyebi in the East Akim Municipality of the Eastern Region indicate that illegal mining activities are gradually resurfacing. These indications come some three weeks after the deadline of the nationwide ultimatum from government ordering the cessation of illegal mining activities, known locally as galamsey. 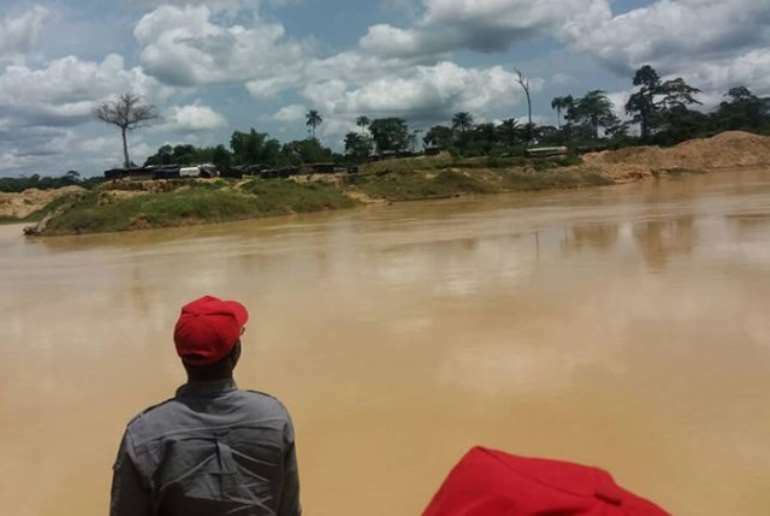 Residents have been complaining that the illegal miners have flouted the government’s orders, and the Assembly Member for the area, Emmanuel Akyeanor Tabi, expressed fears that the miners have no intention of leaving the sites they operate on. He explained that, the mining area in question was under a legal concession, but he alleged that the concessionaire had been leasing out land to the illegal miners. The effects of illegal mining in Kyebi as a whole have been well documented with the shutdown of the Ghana Water Company treatment plant at Kyebi in March 2017. The treatment plant, which takes water from the Birim River flowing from the Atiwa Forest, is seen to be heavly polluted by illegal gold mining activities. 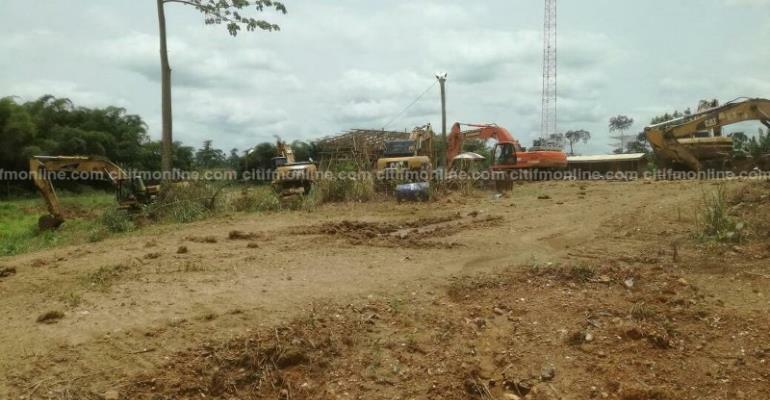 The fear of a return of illegal mining extends to the Akrofusu electoral in the Atiwa District, where the Assembly member of that area, Kwaku Nyarko, complained to Citi News that illegal mining with heavy equipment was still ongoing. 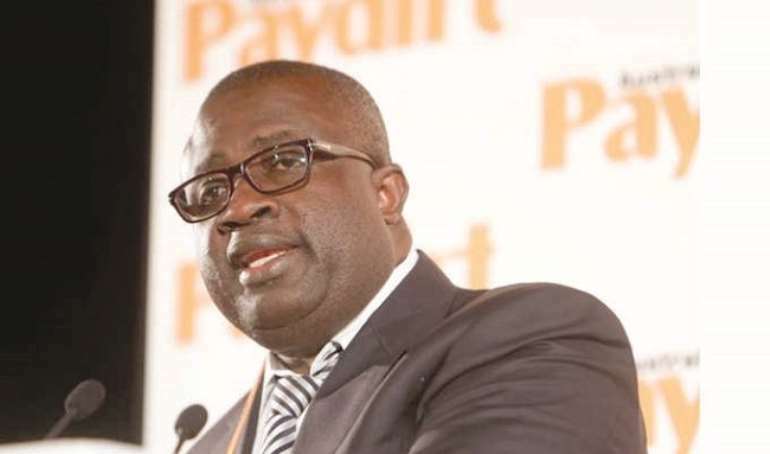 These concerns come on the back of the Chief Executive of the Minerals Commission, Dr. Tony Aubynn, saying that illegal small-scale mining activities were close to zero in the country following the intense media campaign and government action. According to him, there were clear indications that illegal miners have suspended their operations and vacated their sites after government intervention. Speaking in an interview on Eyewitness News’ Pointblank segment, Dr. Tony Aubynn said “when the ultimatum was given weeks ago, we were all waiting to see what will happen, but at the end of it, when we went round to the places, we saw virtually no mining activity going on, almost total cessation. By and large, there was no mining, and what we also saw was that, a lot of excavators, a lot of them had been parked. For now, we have seen that it [galamsey] has stopped,” he said.